Battery powered, portable photometer for the analysis of chlorine after the DPD methode and additional parameter. Photometrical measurement after the DPD method with automatic zero adjustment. 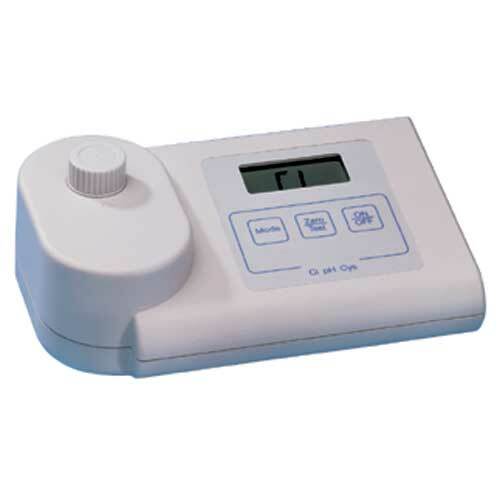 Portable photometer in an ergonomic housing, large digital display and complete with DPD reagents in a bag.